With the stay-all-day formula, transfer resistant and velvet finish, this foundation will leave you with a flawless complexion, buildable from medium to full coverage, whilst still being lightweight and comfortable to wear. Contains powerful active ingredients and anti-aging properties to keep your skin hydrated and nourished. 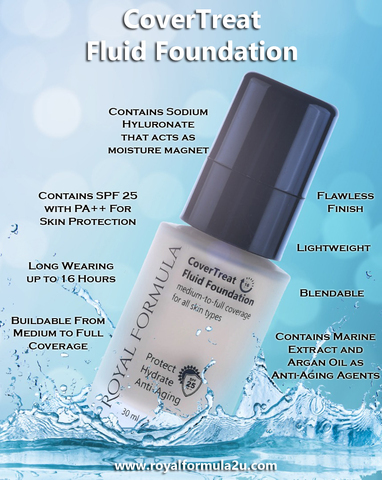 SPF25 PA++ will protect your skin against harmful UV radiation. 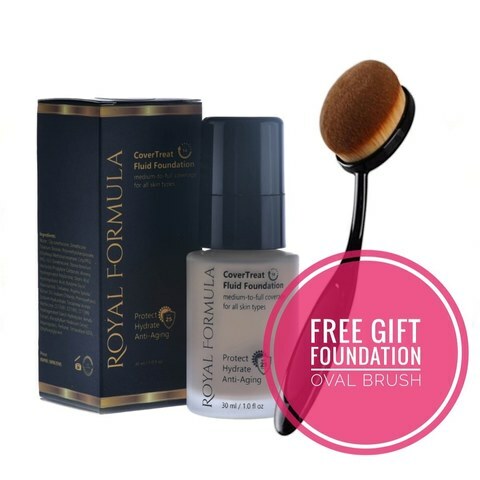 You'll be receiving 1 special free gift for each unit of CoverTreat Fluid Foundation purchased. Shake well before use. 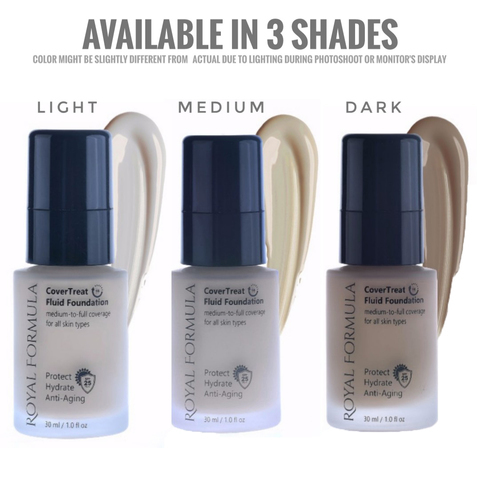 Apply to face and blend well. 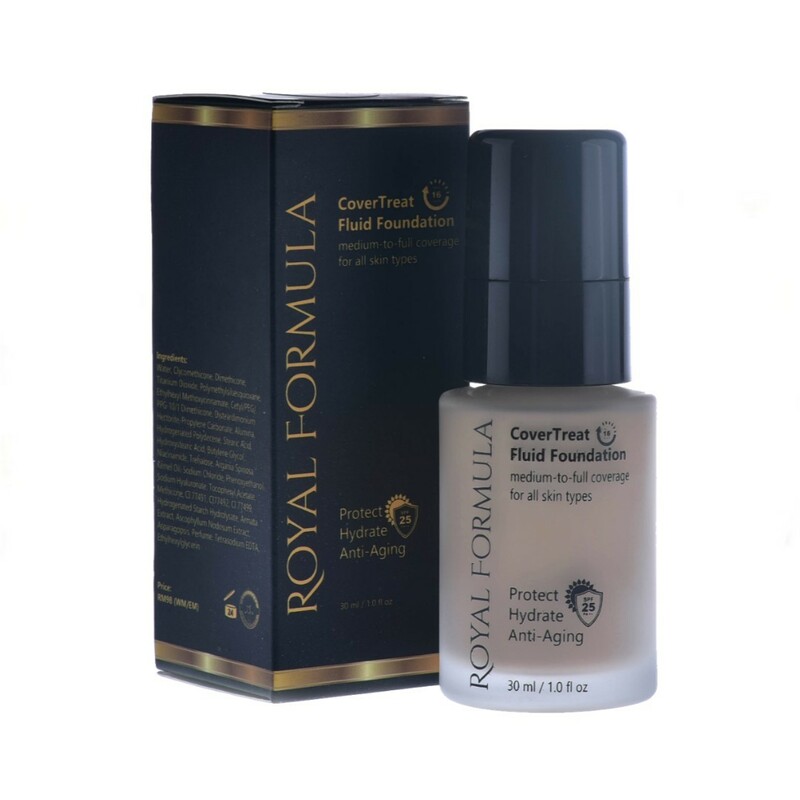 Best used with Royal Formula The Perfect Canvas and Royal Formula The Perfect Splash for optimum results.